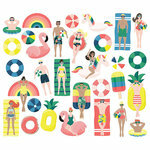 Beat the summer heat by crafting inside! 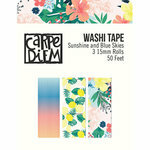 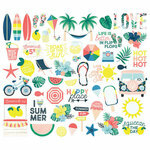 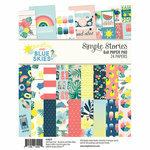 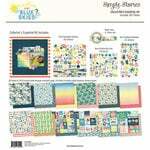 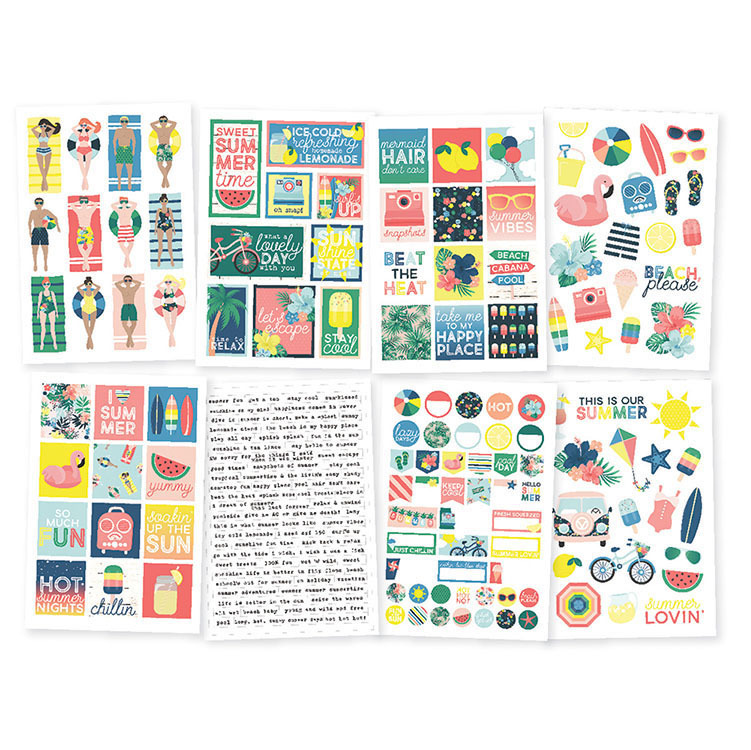 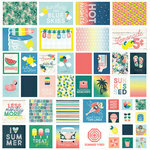 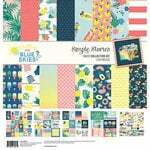 Grab the Sunshine and Blue Skies Collection Cardstock Stickers by Simple Stories and create pool party invites, sunny pages and more with the included images of fruits, beach balls, bicycles, kites, surfboards, flamingos, lemonade and so much more. 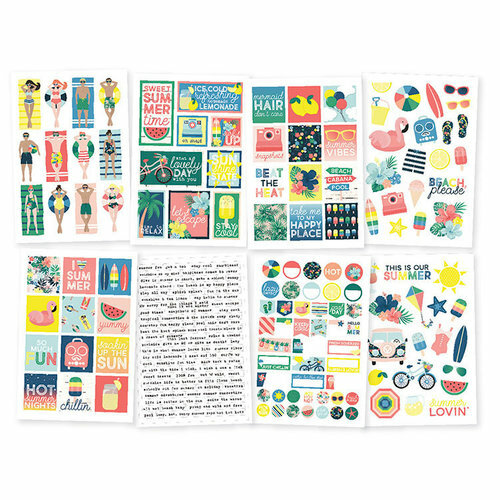 There are 189 cardstock stickers included on eight 4" x 6" sheets.